Update HMI's list of registered applications. 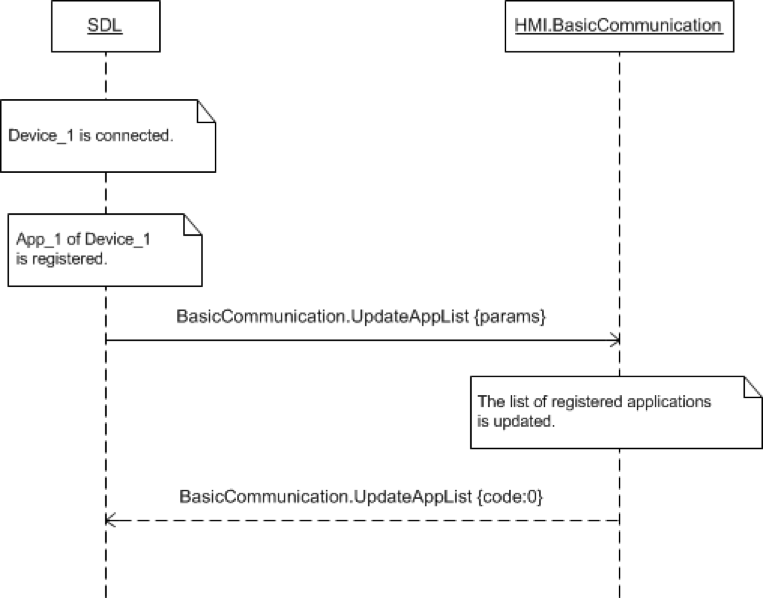 SDL may send this request after connecting to a device, and an application successfully registers itself with SDL. 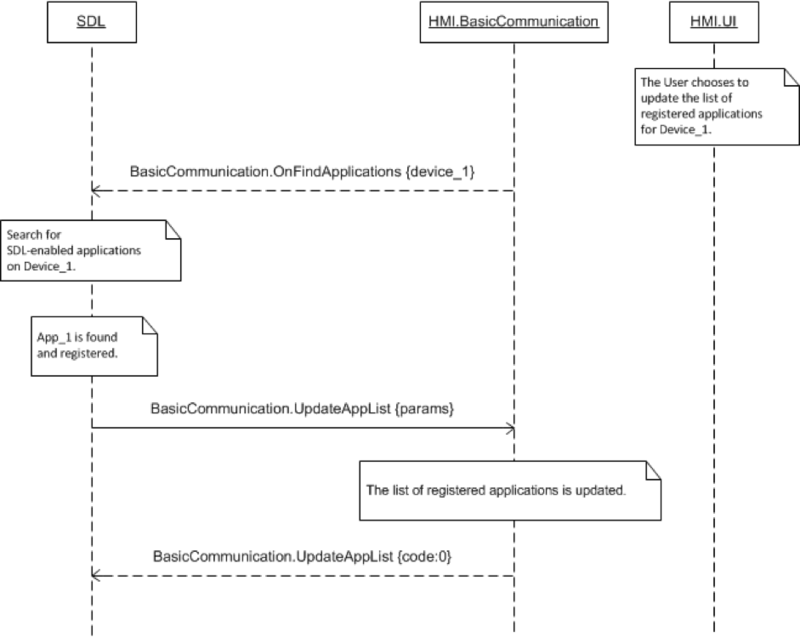 This request may also be sent by SDL if the user requests for an update via OnFindApplications. Update the list of registered applications. Use the appID provided with this request when sending definite requests or notifications back to a mobile application (e.g. ActivateApp, OnCommand). Provide the user with the possibility to choose among a list of registered applications. SDL adds the VR synonyms of a registered application to the HMI via OnAppRegistered.